Until recently, homelessness would only come to public attention in the run-up to Christmas. But things are changing. Homelessness is now being openly discussed by politicians ‘after years in the policy wilderness’, says Patrick Butler at the Guardian. Politicians ‘seem almost to be trying to outdo each other’ with their schemes to tackle it, he says. The Conservative government has pledged to halve rough sleeping by the end of this parliament, and to eliminate it by 2027. The Homelessness Reduction Act comes into force in April. It will impose new duties on local authorities – including to prevent and relieve homelessness for all ‘eligible applicants’, not just those deemed to be in priority need or ‘unintentionally homeless’. Housing First pilots have been announced to provide accommodation and wraparound support for the long-term homeless. And yet the Rough Sleeping and Homelessness Reduction Taskforce, unveiled as part of last year’s autumn budget, has yet to meet. And some local authorities still stand accused of treating the homeless with contempt. Windsor council’s determination to clear the streets of homeless people before Prince Harry and Meghan Markle’s wedding in May caused controversy. The rise of ‘hostile architecture’ – with anti-homeless sprinklers, strategically placed bike racks and metal bars on park benches all making life even more uncomfortable for rough sleepers – has also, rightly, been met with hostility. Then there was the recent death of a Portuguese man, a former model who had hit hard times and who was struggling with alcohol and mental-health problems. He had overstayed at one hostel and was awaiting admittance to another, but then he died while sleeping in the freezing cold outside Westminster Tube station – virtually on parliament’s doorstep. MPs took to social media. Labour leader Jeremy Corbyn tweeted that the ‘powerful can’t carry on walking by on the other side’; it is time we ‘took up the moral challenge and properly housed everyone’, he said. Westminster is Britain’s main hotspot for rough sleeping (217 were counted on one night last autumn). The official figures suggest street homelessness has doubled since 2010; 4,751 people were sleeping rough in England in 2017. But this is widely understood to be an underestimate, relying as it does on local-authority counts and, more often, estimates. Nor does it include similar rises in the numbers of people living in temporary accommodation, or, more controversially, the ‘hidden homeless’. A recent ComRes survey found that 41 per cent of 16- to 25-year-olds admit to ‘sofa surfing’. The failure to build enough housing, or enough affordable housing, is often cited as a major contributor to the problem of homelessness. In January, Corbyn announced that a Labour government would immediately, upon being elected, buy every homeless person in the UK a house, even if that meant seizing properties left empty by developers. And yet, for all its grandstanding, the political class has consistently undershot the building of the 250,000 new homes a year – at least – that Britain needs. House-building in the UK peaked at 183,600 in 2007. It reached a low of 75,350 in 2009 and is now averaging around 150,000 a year. This has lead to a backlog of unmet needs, unfit housing stock, and ever-rising prices and rents – key contributors to today’s unprecedented levels of homelessness. The new legislation will help, but it is only by building the government’s target of 300,000 houses a year now, and not, as planned, by the mid-2020s, that we can begin to ensure that nobody need fear losing their home. Many argue that it is central government’s programme of austerity, including cuts to local services and to benefits, especially for 16- to 18-year-olds, who are no longer eligible for housing benefit, that has created the current problem. There is certainly a need to address the problems associated with changes to the welfare system, albeit without further fostering a culture of extended adolescence among the young. But blaming the Tories is too easy. The crisis of affordability, of rising housing costs and stagnating incomes, is a longstanding one. It is this that motors the evictions that are the leading cause of homelessness. To solve this problem, we need less grandstanding and more serious investment in infrastructure. As a society we have accommodated to homelessness. The homeless appear in the national consciousness once a year at Xmas. We associate the problem with cardboard boxes and the acts of kindly strangers, rather than seeing it as something that might be solved by better social policy. Not that I want to knock charitable feeling on the part of the public. Gloucester City Council has been running a much criticised poster campaign that urges people not to give rough sleepers any money because many of them are not really homeless. I don’t know about you but nothing makes me want to buy a rough sleeper a can of Special Brew more than being told not to by officialdom. There was outrage this month when Council Leader Simon Dudley asked the police to clear Windsor – prior to the eagerly anticipated Royal Wedding – of ‘an epidemic of rough sleeping and vagrancy’ to ‘protect residents and tourists’. He suggested they use 19th Century vagrancy law and its latter day equivalent the ASBO (Anti-Social Behaviour Order) to do the job. Russell Brand launched an online petition to ‘Show love to Harry and Meghan AND help the homeless’ by setting up a shelter in neighbouring Slough. It quickly attracted thousands of signatures, and Cllr Dudley is now facing a vote of no confidence. But there is nothing unusual about the authorities harassing of the street homeless. Under pressure from campaign groups like the excellent Manifesto Club, local authorities and others using powers such as ASBOs (Anti Social Behaviour Orders) and PSPOs (Public Space Protection Orders) have now been told by the Home Office that they must not ‘target specific groups or the most vulnerable in our communities’. I’m of the view that the homeless should be a public nuisance, that’s how we know we’ve got a problem. But what is the problem? There is a rarely acknowledged conflation of homelessnesses. It tends to be exaggerated by campaigners to include ‘sofa surfing’ young people and the ‘hidden homeless’ living, albeit not ideally, in overcrowded homes. Equally it is underestimated by government – so that the official homeless count includes only families who are granted public housing after being assessed to be ‘unintentionally homeless’ by local authorities. When Theresa May, not unreasonably, made this distinctions there was outrage. Responding to Rosena Allin-Khan, Labour MP for Tooting, who claimed 2,500 children in her constitutency would ‘wake up homeless on Christmas day’, the prime minster rightly pointed out that this doesn’t mean that the streets of that South London district would be filled with homeless children. The constant reference to homeless children (Shelter claims a class-worth of children in every London school is homeless) is also cynically emotive. We need to deal in facts. These children are part of homeless households, not fending for themselves. We need clarity if we are to find the solutions we need to end, or at least reduce, homelessness. But the figures, particularly for rough sleeping, are notoriously dodgy. According to Shelter about 9,000 people in England are sleeping rough on the streets, and another 9,000 on buses and in tents and cars. 78,000 households are living in temporary accommodation and there are around 300,000 homeless people across Britain. But if you look at the figures produced by local authorities (via headcounts and estimates), there were 4,134 people living on the streets in 2016, i.e. less than half the Shelter figure though still double that recorded in 2010. But whatever the correct figures are, behind the homelessness problem is longstanding multiple policy failure. From housing and welfare policy to mental health services things are going badly wrong and have been for some considerable time. It is estimated that we need to build at least 250,000 homes a year (in the post-war period we were averaging 300,000). And yet we undershoot this by some margin year-on-year – house building in the UK peaked at 183,600 in 2007, reached a low of 75,350 in 2009 and is now averaging around 150,000 i.e. half of what the country needs. This is leading to a backlog of unmet demand, unfit housing stock and ever rising prices and rents. We don’t need to build affordable housing. We need to build so much housing that it becomes affordable. But homelessness is not just a bricks and mortar problem. Mental health patients can find themselves homeless if they are discharged without the support they need. The number of homeless households categorised as a priority because of mental illness has gone up from 3,200 in 2010 to 5,470 in 2017. Homeless Link claims that 44% of homeless people have a diagnosed mental health problem. But, and this should cause us to doubt the robustness of mental health figures too, it also claims that 23% – nearly a quarter! – of the general population also have a mental health problem. So we have exaggeration here too. According to Shelter eviction is the biggest single cause of homelessness at the moment. Welfare reform, the withdrawal of housing support, benefits freezes and benefits cuts are all widely understood to be having a considerable impact on people’s ability to afford to pay their rent. But it is also estimated that 70,000 young people (18-24 year olds) across Britain have claimed to be homeless in the past year. They are part of the ‘hidden homelessness’ problem, it is argued, made worse by their no longer being eligible for housing benefit. Here I have a problem: both with the suggestion that so many young people really have nowhere to go, and with the idea that the state should step in. There has been a stark failure to build the housing we need. That must be tackled with some urgency until we are building well in excess of a quarter of a million homes a year. We also need to ensure that care and support is targeted at those who most need it; and that our sprawling, complex and clunky welfare system is up to the job of helping people when they need it without nannying young people into an extended state of adolescence. If we are to address the problems that underlie the recent rises in homelessness, we need to be able to have frank debates about the welfare system and attitudes to the young, while recognising the complexity of the problem and the multitude of individual circumstances that can lead to the experience of homelessness, and without this becoming an excuse for inaction or a lack of ambition. Trying to address the growing issue of homelessness is difficult but it needn’t be intractable. This is the text of my contribution to Rough Justice: A Public Discussion organised by Liverpool Salon with the Museum of Homelessness, at Tate Liverpool on 23 January as part of State of the Nation: Exchanges on Homelessness. Universal credit – the Tories’ flagship welfare policy aimed at saving money, easing claimants’ transition into work, and simplifying the benefits system by merging six different benefits into one – has hit headlines recently for all the wrong reasons. As it has been rolled out, the requirement that claimants wait six weeks or more before receiving payment has, reportedly, led to everything from indebtedness to evictions. And the charge attached to the Department for Work and Pensions (DWP) hotline has caused outrage, too. Last month, Labour put forward an opposition-day (that is, non-binding) motion calling for the roll-out of universal credit to be halted. It passed 229 to nil. Controversially, Tory MPs were instructed to abstain or absent themselves in an effort to avoid a backbench revolt. It has been widely reported that the DWP helpline costs 55p per minute, which is hardly affordable for the already hard-up. In fact, the cost varies from 3p to 55p on a mobile, and is no more than 9p on a landline. Nevertheless, it became part of a narrative that the Tory government is being grasping and inhumane. The Archbishop of York described those being bitten by the roll-out as the ‘present-day successors’ of the widows and orphans referred to in the Bible. Labour MP Frank Field, chair of the Work and Pensions Committee, has said the government must ‘avert a Christmas disaster’. Much of this is overdone, similar to over-the-top claims about food poverty and suicidal benefits claimants. But there are still some real problems with universal credit. Food banks have been reporting increased demand for some time, and rising homelessness has been linked to welfare reform. The Smith Institute has linked the introduction of universal credit with millions of pounds worth of rent arrears in Southwark and Croydon in south London. And according to SNP MP Drew Hendry, 60 per cent of his constituency caseload is universal-credit-related. He has complained of a ‘systematic lack of care shown to those most vulnerable in our society’. Universal credit has been beset by delays and controversy from the start. And until recently, it has been rolled out in an almost apologetic way – at the rate of five Job Centres a month. This was due to be accelerated to include all new claimants by autumn 2018, so that it would be fully implemented by 2022 to cover an estimated seven million households. (Such is the extent of the problem of welfare dependency.) But it’s looking unlikely that target will be met. There have been very real problems with the way in which universal credit has been rolled out. And on these issues, there have been welcome signs of retreat, as a result of the pressure exerted inside and outside of parliament. There’s been a u-turn on a cap for housing benefit for social-housing tenants, a reduction on the six-week wait is expected to be in next month’s budget, and the helpline is now free of charge. But the principle behind universal credit is a good one, and needs to be defended. The architect of universal credit, former work and pensions secretary Iain Duncan Smith, still maintains that it could ‘dramatically change lives for the better’. This ambition, to reform the welfare system and make it fit for the new century, has unfortunately been bogged down in political point-scoring and design failures. Welfare dependency is a longstanding social, economic and cultural problem. It will take more than a technical fix to solve it. But at least the Tories recognise there is a problem, and are trying to treat benefits claimants like adults. Under universal credit, claimants receive their benefits directly. (Housing benefit, for example, previously went straight to landlords.) Also, it is paid on a monthly basis, like a salary, instead of fortnightly or weekly. Many of its critics, by contrast, think ‘vulnerable’ claimants are incapable of budgeting for themselves. Virtue-signalling over the needy may shame the government into another u-turn, but it will do nothing to help claimants. What’s more, the rows over universal credit – a policy that, in principle, all parties support – makes it seem more drastic than it is. It is a policy that is argued for in the language of ‘supporting’ the ‘vulnerable’. 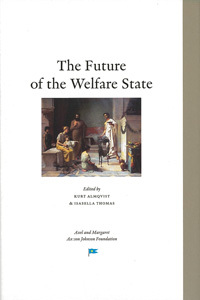 A reminder that there’s still a much broader debate to be had about the future of the welfare state.